On this page you'll find a selection of items belonging to the group of baked Products. Through the links on this list of foods that are baked Products and you will know their properties and amount of nutrients that each food has. Below is a list of foods belonging to the category of baked Products. Clicking on each one of them, you can view the properties of oils and nutritional information in addition to the benefits to your body. 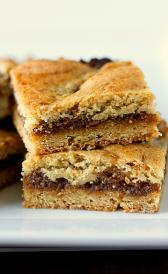 Fig bars cookies: This food is low in vitamin c, vitamin b12 and vitamin a but Fig bars cookies has carbohydrate and total sugars in high quantity. Fortune cookies: This food has a low quantiti of water, calcium and magnesium but has a high quantity of carbohydrate, total sugars and folate. Gingersnaps cookies: High in food energy, carbohydrate and total sugars and low in water, vitamin c and food folate. Molasses cookies: Molasses cookies is high food energy, carbohydrate and iron. On the other hand. is low in water, total dietary fiber and vitamin c.
Oatmeal cookies: High in food energy, carbohydrate and monounsaturated fatty acids and low in water, total dietary fiber and total sugars. Soft-type raisin cookies: This food has a low quantiti of selenium, vitamin c and vitamin b12 but has a high quantity of carbohydrate and total sugars. Regular cheese crackers: This food is low in water, vitamin c and vitamin b12 but Regular cheese crackers has food energy, total lipid and carbohydrate in high quantity. Rye crispbread crackers: High in carbohydrate, total dietary fiber and manganese and low in water, total lipid and total sugars. Plain matzo crackers: Plain matzo crackers is high carbohydrate, selenium and thiamin. On the other hand. is low in water, total lipid and total sugars. Egg matzo crackers: This food is low in water, total lipid and total sugars but Egg matzo crackers has carbohydrate, selenium and thiamin in high quantity. Milk crackers: This food has a low quantiti of water, vitamin c and vitamin b6 but has a high quantity of food energy, carbohydrate and thiamin. 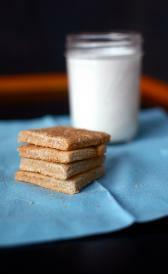 Rusk toast crackers: High in food energy, carbohydrate and thiamin and low in water, total dietary fiber and total sugars. Plain wafers rye crackers: This food is low in water, total lipid and total sugars but Plain wafers rye crackers has ash, carbohydrate and total dietary fiber in high quantity. Regular wheat crackers: High in food energy, carbohydrate and sodium and low in water, vitamin c and vitamin b12. Whole-wheat crackers: This food has a low quantiti of water, total sugars and vitamin c but has a high quantity of food energy, carbohydrate and total dietary fiber. Cracker meal: High in carbohydrate, selenium and thiamin and low in water, total lipid and total sugars. Butter croissants: This food has a low quantiti of vitamin c, vitamin b12 and alpha-carotene but has a high quantity of total lipid, thiamin and folate, total. Apple croissants: In this food there are some nutrients that are found in low quantity, for example total sugars, copper and vitamin c.
Cheese croissants: Cheese croissants is high food energy, total lipid and selenium. On the other hand. is low in vitamin c, vitamin b12 and alpha-carotene. Plain croutons: This food is low in water, total sugars and vitamin c but Plain croutons has food energy, carbohydrate and selenium in high quantity. 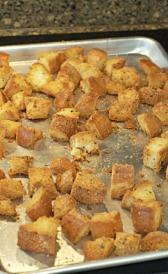 Seasoned croutons: This food has a low quantiti of water, vitamin c and vitamin b12 but has a high quantity of food energy, carbohydrate and sodium. Cheese danish pastry: Cheese danish pastry is high total lipid and monounsaturated fatty acids. On the other hand. is low in total dietary fiber, vitamin c and vitamin b6. Wheat english muffins: High in selenium and thiamin and low in total lipid, total sugars and vitamin c.
Blueberry muffins: This food has a low quantiti of total dietary fiber, total sugars and vitamin c but has a high quantity of carbohydrate, folate, total and folate. Toaster-type corn muffins: Toaster-type corn muffins is high carbohydrate and polyunsaturated fatty acids. On the other hand. is low in total sugars, calcium and vitamin c.
Oat bran muffins: This food has a low quantiti of vitamin c, niacin and choline, total but has a high quantity of magnesium, phosphorus and manganese. Fruit fried pies pie: This food has a low quantiti of calcium, potassium and zinc but has a high quantity of total sugars and polyunsaturated fatty acids. Peach pie: Peach pie is low in protein, total dietary fiber and calcium. Phyllo dough: This food is low in total sugars, calcium and vitamin c but Phyllo dough has carbohydrate, thiamin and folate, total in high quantity. Enriched popovers: This food has a low quantiti of total dietary fiber, total sugars and vitamin c but has a high quantity of carbohydrate, sodium and selenium.